These Bevel Black Plaques are an elegant way to display your registered trademarks. They are preferred over traditional wood plaques by many of our customers who look for a more contemporary way to showcase their trademarks. This Trademark Plaque - Glass Black BG-TM15EZG is part of our Mission Statement and Trademark Series of products, check out other products & options available in the Mission Statement and Trademark Series of our selection. 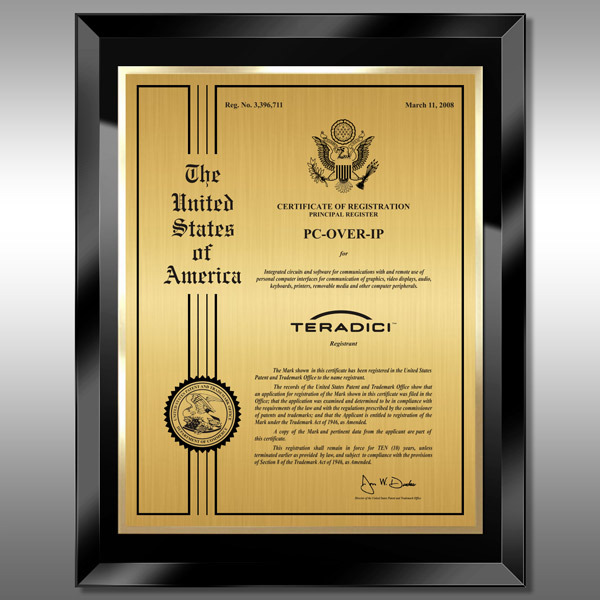 This Trademark Plaque - Glass Black BG-TM15EZG can be modified to your requirements and is available for your corporate award programs.